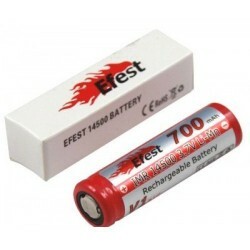 Efest V2 14500 button top 800mAh 3.7V Rechargeable battery. 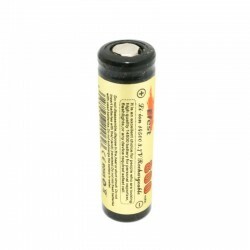 Do not short circuit - High current will be discharged! 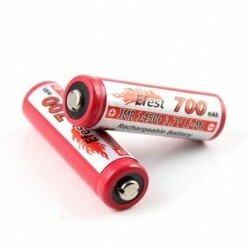 UltraFire TR 14500 1200mAh 3.7V button top battery.The price shown is for 1(one) piece.Info:Diameter: 14mm;Length: 50mm.